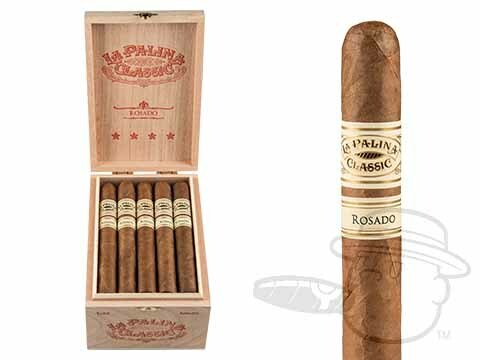 Part of a re-vamped line-up for La Palina's highly-rated Classic line, the La Palina Classic Rosado offers strength and refinement for the budget-savvy connoisseur. a 3-nation filler blend from the Dominican Republic, Honduras, & Nicaragua. 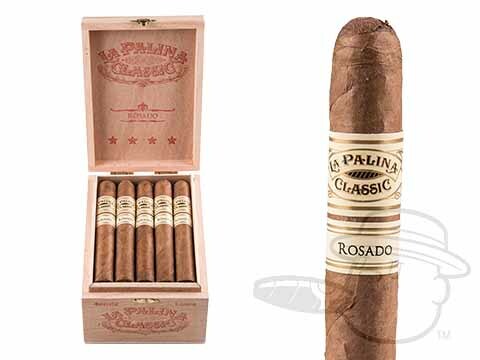 This flavorful full-bodied gem shines with bright tones of leather, cedar, pepper, and rich coffee at a more-than-reasonable everyday price, let alone the bottom-line discounts we've piled on here at BCP. Grab your batch at the lowest possible price now.